Householders could one day see energy bills slashed through cheap clean power… generated from the sea, according to new research. A new device that turns ocean waves into electricity for thousands of homes has been created by Scottish scientists. Trials at the University of Edinburgh’s spectacular £9.5 million water tank – the first of its kind in the world – have shown it works. No energy source is perfect. Fossil fuels emit damaging CO2, wind and solar are variable, nuclear generates radioactive waste and biomass fuels deforestation. Tidal power, using the ferocious force of the oceans to deliver clean, abundant and consistent energy, has the potential to be the most effective. The device costs less than conventional designs, has fewer moving parts and is made of durable materials. It is made to be incorporated into existing ocean energy systems and can convert wave power into electricity. Small scale experiments in the ocean simulator show one full-size device could generate the equivalent of 500kW, enough electricity for about 100 homes. Prof Ingram’s team, which includes colleagues in Italy, say it could be used in fleets of low-cost, easily maintained structures at sea within decades. 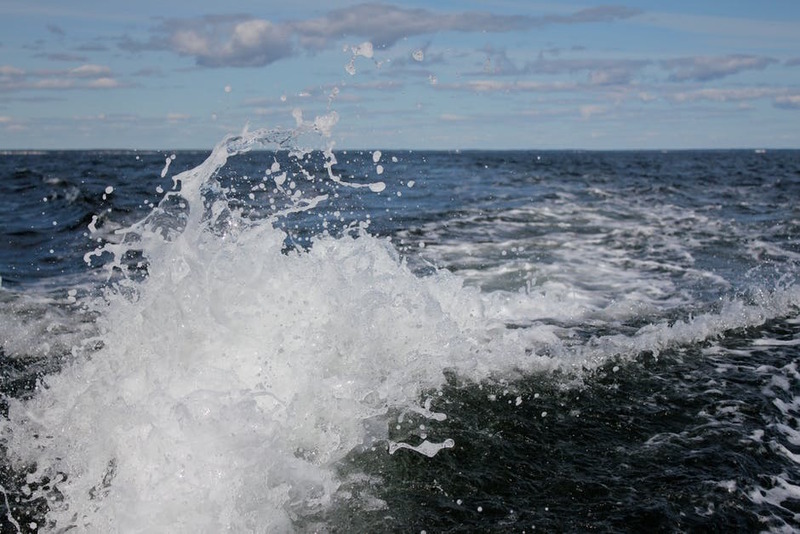 In particular, this would take advantage of powerful waves in Scottish waters, said the researchers. Called a DEG (Dielectric Elastomer Generator), it was developed using flexible rubber membranes, and fits on top of a vertical tube. When placed in the sea, it partially fills with water that rises and falls with wave motion. As waves pass the tube, the water inside pushes trapped air above to inflate and deflate the generator. As the membrane balloons in size, a voltage is generated. This increases as it contracts – producing the electricity. In a commercial device this would be transported to shore via underwater cables, reports Proceedings of the Royal Society A. A scaled-down version of the system was tested in the circular 25m FloWave tank that can reproduce any combination of ocean waves and currents. It could replace conventional designs, involving complex air turbines and expensive moving parts. This would be equivalent to hundreds of kilowatts at full-scale. The FloWave tank can generate waves up to 1m high and currents underneath of 1m per second. Scaling up – this allows it to simulate waves up to 28m high and currents of up to 14 knots. Its round shape means waves have no reflections and can come from multiple directions, to mimic stormy seas. It can recreate any point on Britain’s coastline, allowing marine energy systems to be tested and refined. The wave power industry is evolving from single devices to arrays of multiple units – and FloWave has the capacity to house these. It fills a gap between small laboratory units and full-scale marine facilities like the European Marine Energy Centre (Emec) in Orkney.